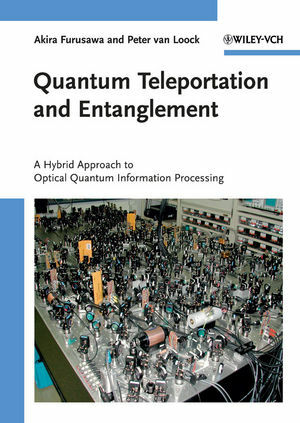 Unique in that it is jointly written by an experimentalist and a theorist, this monograph presents universal quantum computation based on quantum teleportation as an elementary subroutine and multi-party entanglement as a universal resource. Optical approaches to measurement-based quantum computation are also described, including schemes for quantum error correction, with most of the experiments carried out by the authors themselves. Ranging from the theoretical background to the details of the experimental realization, the book describes results and advances in the field, backed by numerous illustrations of the authors' experimental setups. Aimed at researchers, physicists, and graduate and PhD students in physics, theoretical quantum optics, quantum mechanics, and quantum information. Akira Furusawa received his Ms Degree in applied physics and PhD Degree in physical chemistry from the University of Tokyo, Japan, in 1986 and 1991 respectively. Furusawa's research interests cover the area of nonlinear optics, quantum optics and quantum information science. He has authored more than 44 papers in leading technical journals and conferences, which includes the first realization of continuous-variable quantum teleportation. He received the Ryogo Kubo Memorial Award in 2006, the JSPS (Japan Society for the Promotion of Science) prize in 2007, the Japan Academy Medal in 2007 (awarded once every two years to a Japanese scientist for achieving notable research landmarks), and the International Quantum Communication Award in 2008. He is a member of the Physical Society of Japan, the Japanese Society of Applied Physics, and the Optical Society of America. Peter van Loock received his Diploma in physics from the University of Erlangen-Nuernberg, Germany in 1997, and his PhD degree from the University of Wales, UK in 2002. His research is on theoretical quantum optics and quantum information, in particular, on optical protocols for quantum information processing. He is a member of the German Physical Society.